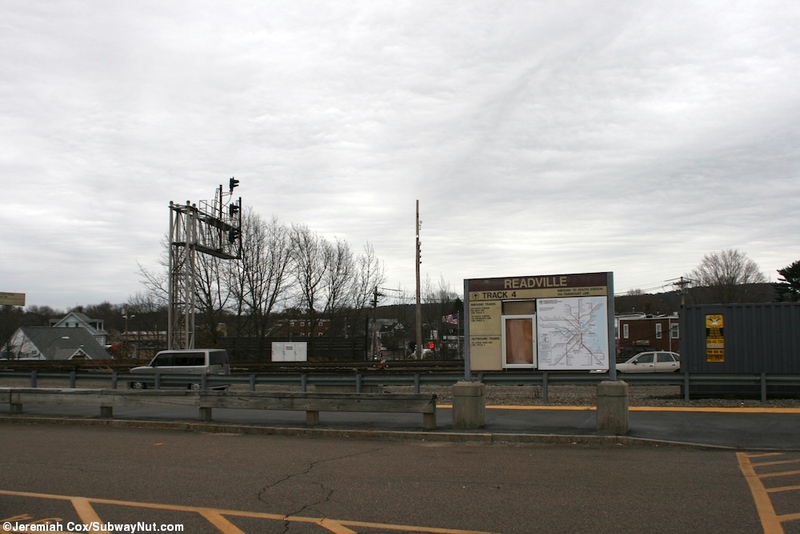 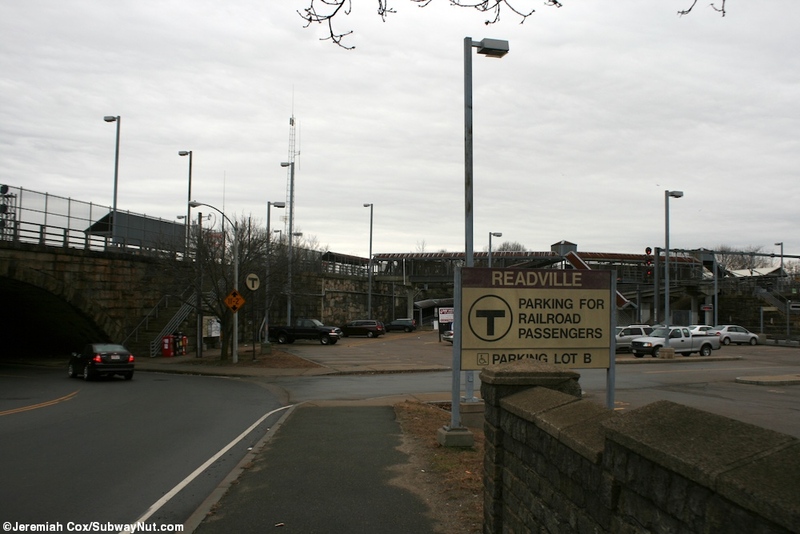 Readville a complicated junction Commuter Rail station that also has some storage yards around it along with a maintenance facility. 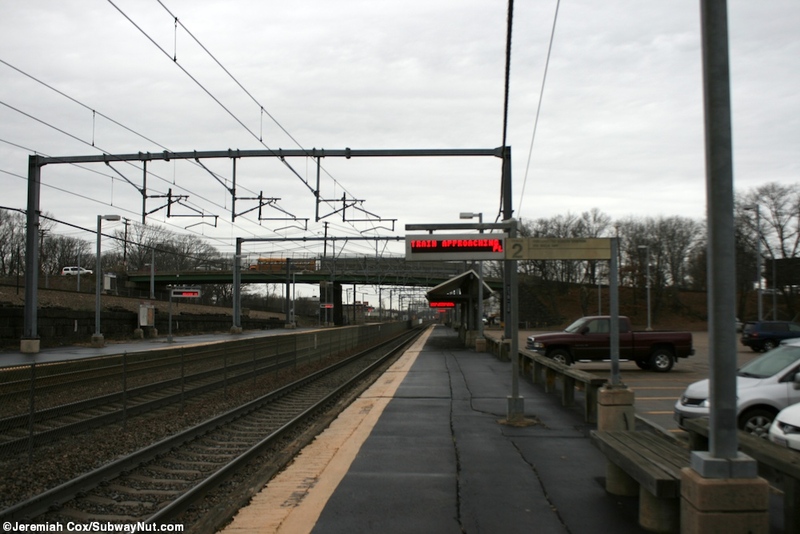 The stop is the southern terminus of most Fairmont Line trains but the tracks cross the NEC and continue via the Franklin Line although most curve off of this line, stop at their own single track platform at track 5 before joining the Stoughton/Providence Line on the electrified northeast corridor north of the station. 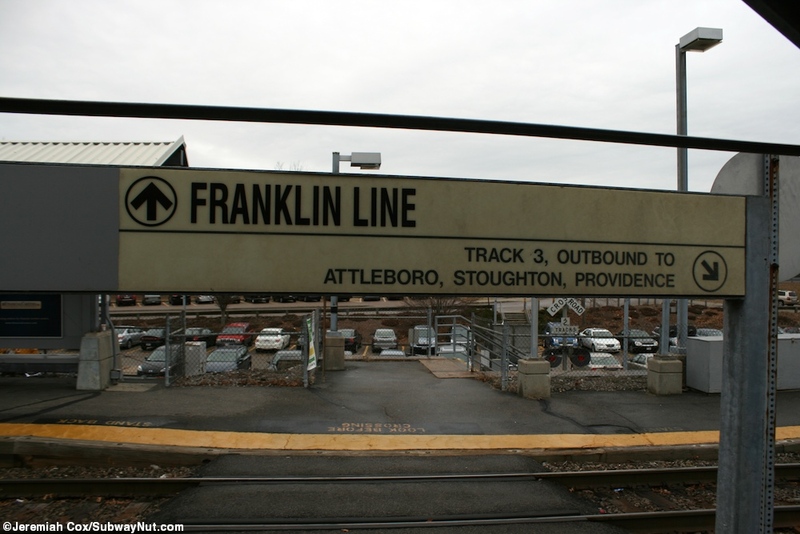 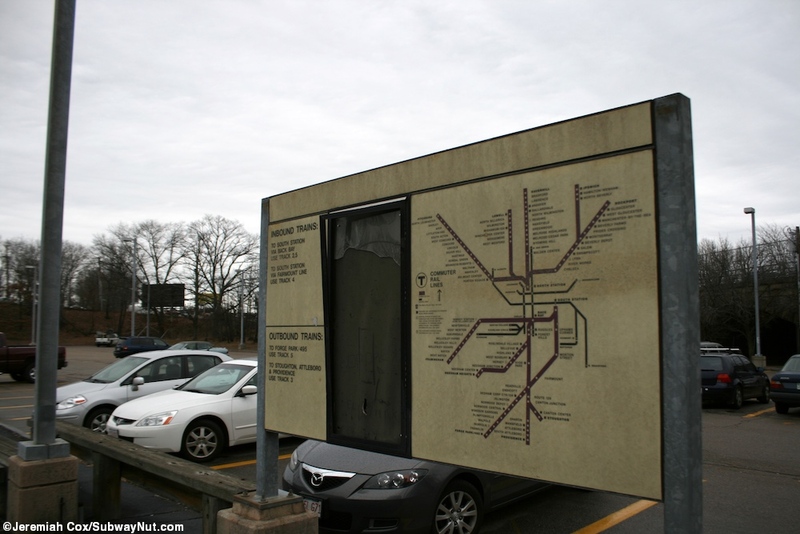 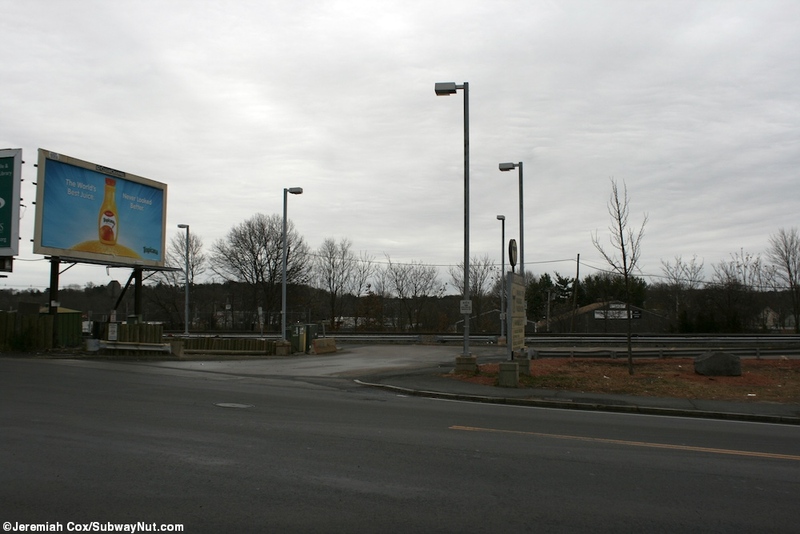 The stop receives fairly frequent service from most Franklin Line trains, all Fairmont Line trains, but currently no Providence/Stoughton Line trains serve the station although there are two platforms for these. 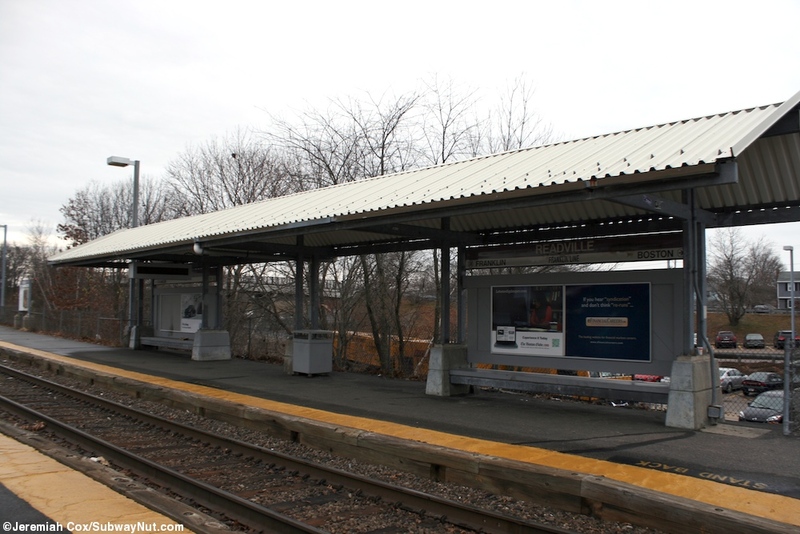 All platforms are low-level but ADA complaint with a sheltered mini-high platform at the outbound ends. 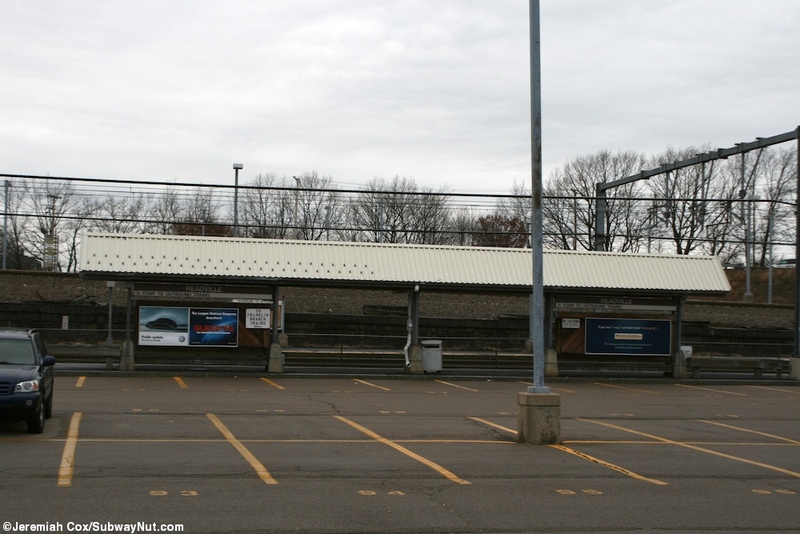 There are 354 parking spaces sprinkled in 3 different parking lots in the complex. 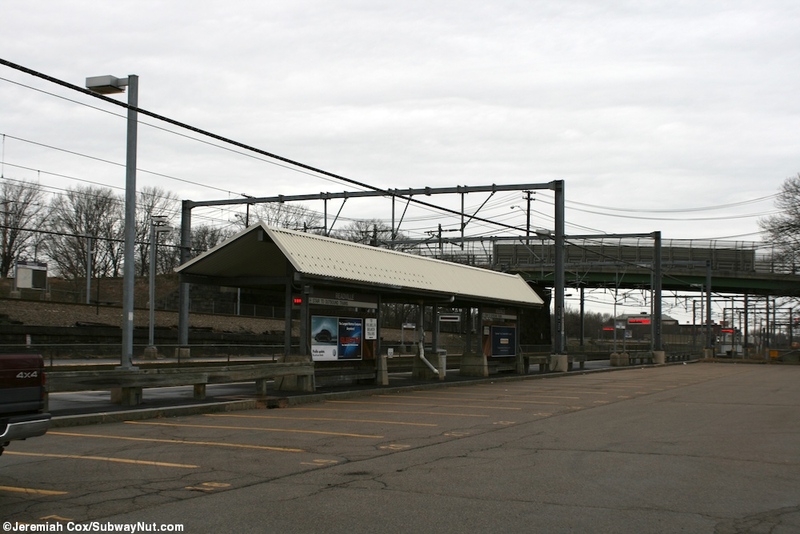 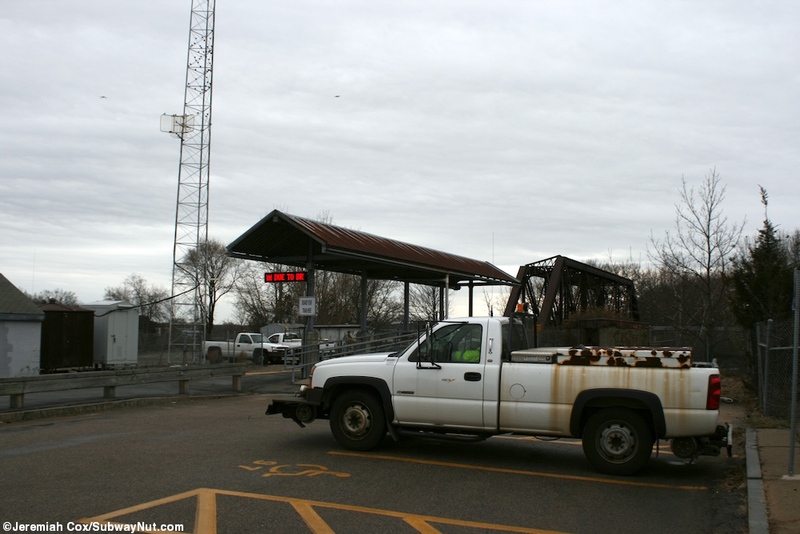 The tour starts at the eastern end of the station where the Fairmont Line terminates at a short single-track platform (track 4), with a small second shelter as well. 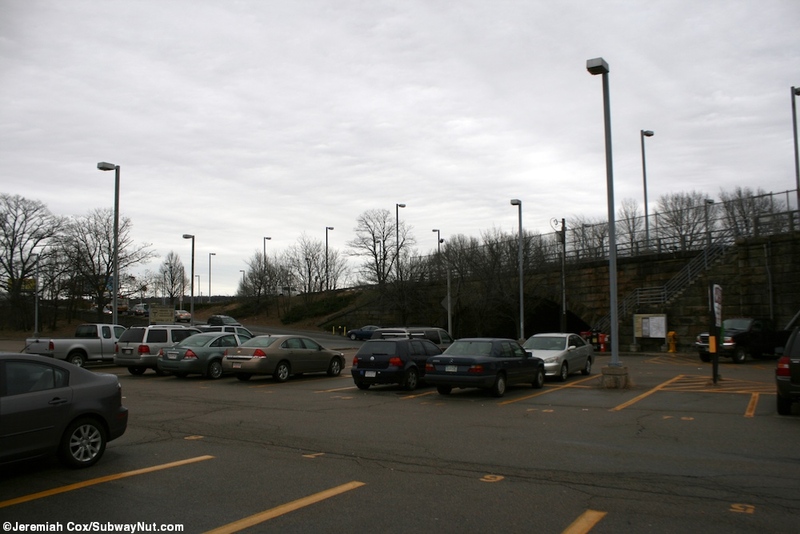 There is small Parking Lot C that leads down to Hyde Park Avenue (and crosses beneath the connection from the Fairmont Line to the Franklin Line through an underpass). 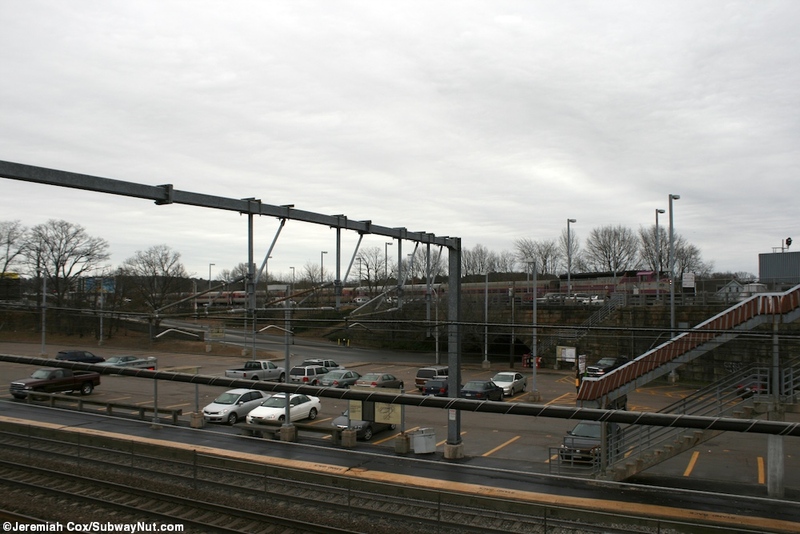 The Fairmont Line tracks continue across a bridge over the Northeast Corridor before reaching the Franklin Line after its station platform. 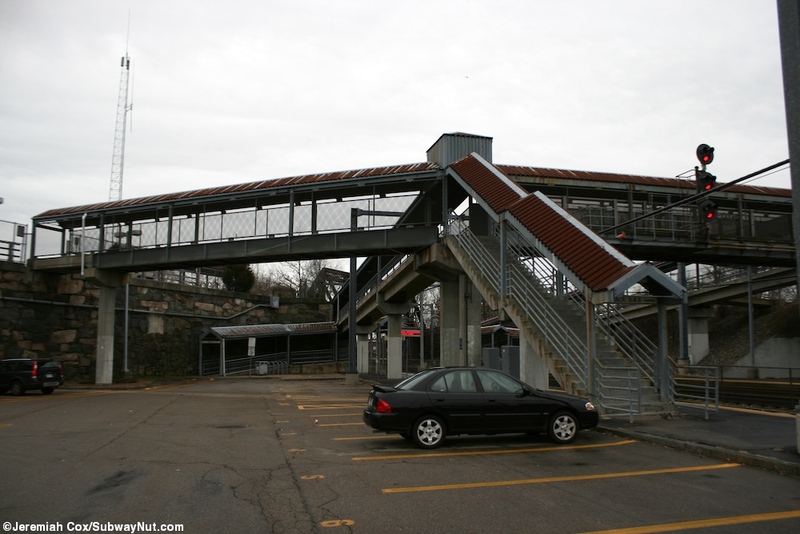 Next a pedestrian bridge begins after passing the few upper ADA only parking spaces in parking lot C. This pedestrian bridge ties the platforms together crossing above a large parking Lot B at the same level as the unused inbound NEC platform for track 2 (although signs imply trains are still scheduled to depart from it). 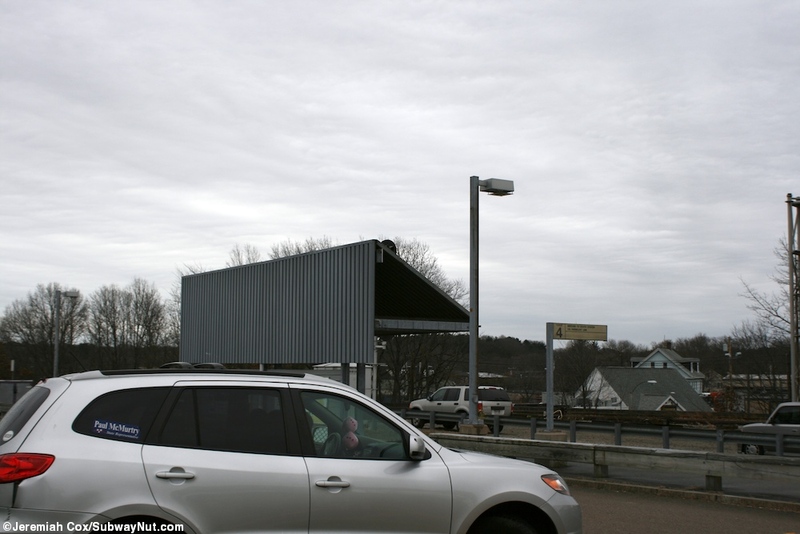 This platform is long with another small second shelter and has a ramp and staircase up to the bridge. 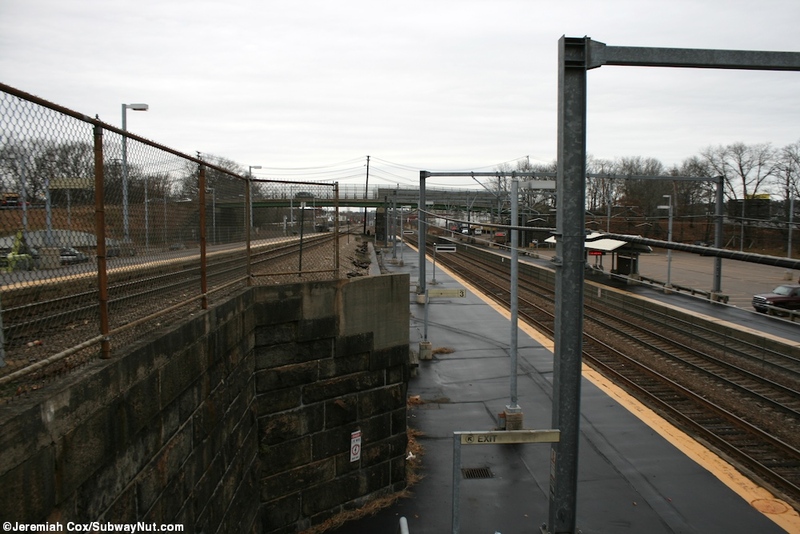 The bridge continues and ends across the tracks, where the outbound (track 3) Northeast Corridor platform is, on a level lower to the Franklin Line's track 5 above. 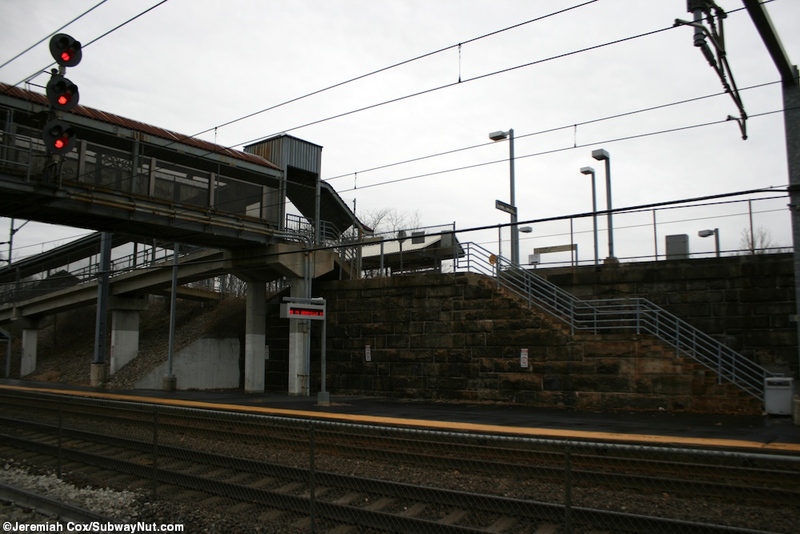 The Northeast corridor here has three tracks and both platforms have LED announcements and signs that say 'Train Approaching, Stand Behind Yellow Line'. 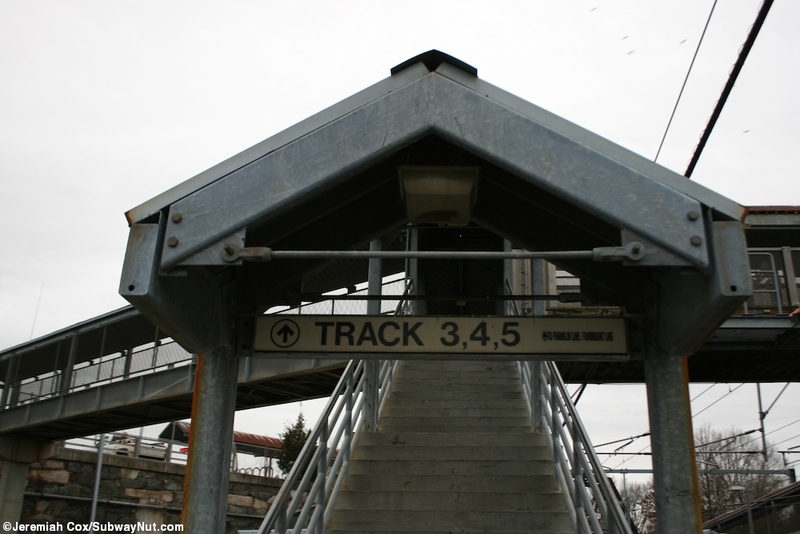 The bridge ends with a ramp down to track 3 with an entrance to the Franklin Line's track 5. 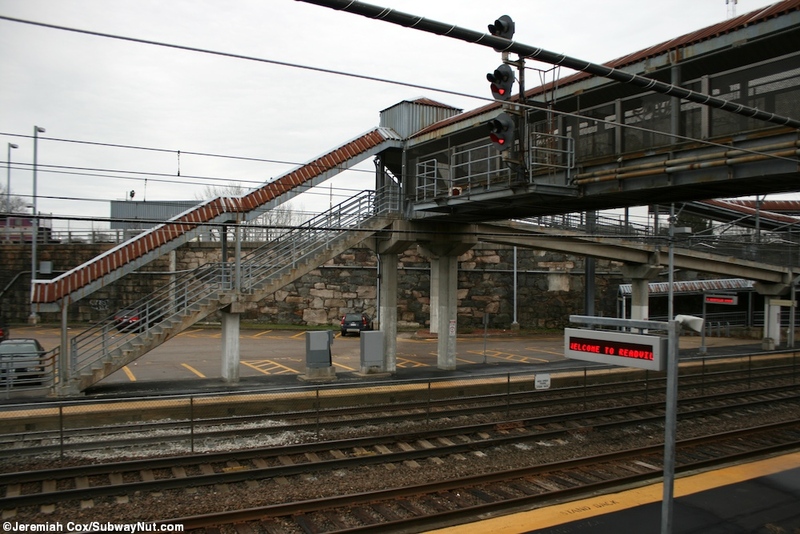 A second exposed staircase connects these two platforms as well. 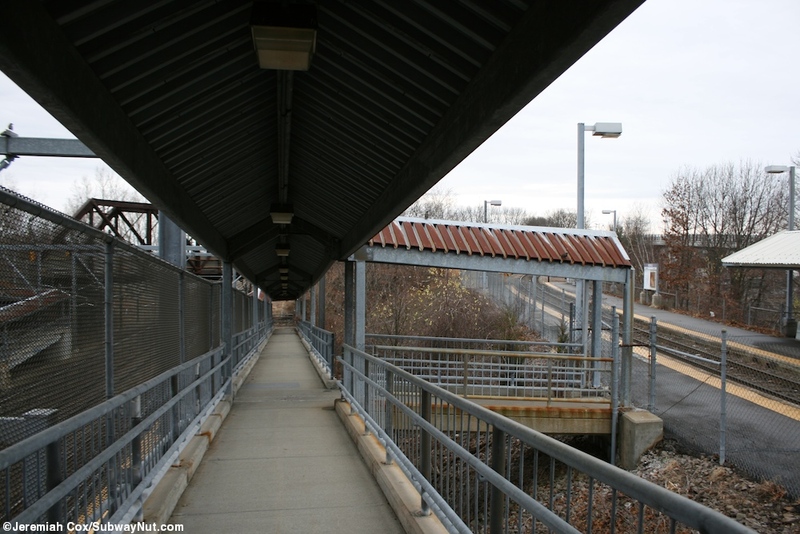 The Franklin Line's single track 5 has an unusual layout with a short platform at the end of the bridge where the mini-high platform is and a much longer low level platform (with its own older canopy) on the opposite side connected by a pedestrian crossing. 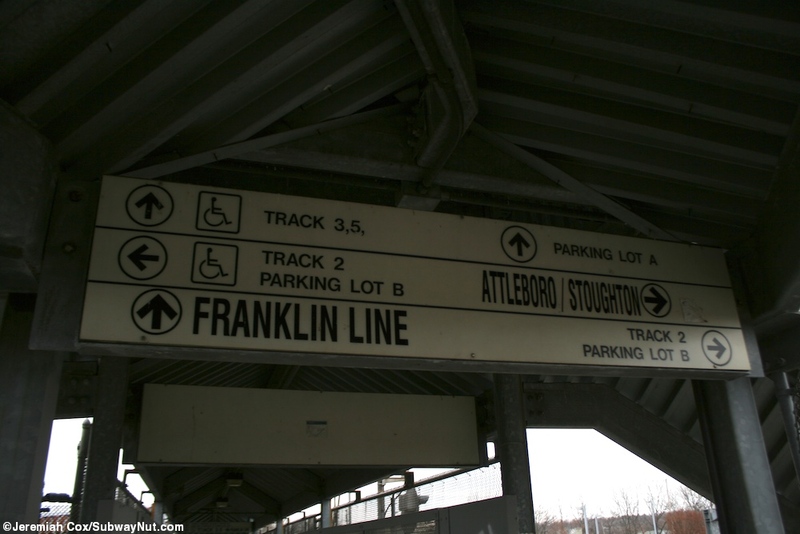 From the opposite side steps lead down to a crossing of a few more tracks on a yard lead and then Parking Lot A before the exit to Sprague Street.